We began our journey with Kawasaki disease (KD) when my son was diagnosed four years ago. Even though my husband and I are both Registered Nurses, KD was not on our radar as we were taught many years ago that it is so rare and only affects toddlers- our son was seven at the time. He started with a fever in early March of 2015. What we thought would pass in a few days with a little Tylenol did the opposite, as each day a new symptom would appear. We were taking him to his doctor every other day with concerns, as his fever was not coming down, his eyes were gradually getting redder, and a rash was beginning to spread across his body. With each appointment, it seemed as though it was just a virus that should pass, but a sinking feeling was forming inside me-not only as a nurse, but even more as a mom- that we were missing something bigger. By day 8, of watching our child only getting worse and looking deathly ill, we finally told our doctor that we were not going back home. Thankfully, God put the right person in our path that day, as we headed to another clinic for a second opinion. 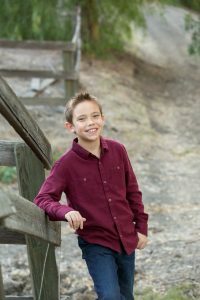 A per diem doctor, who just happened to be working, took one look at our son, knew it was Kawasaki disease and sent us to the hospital where he would spend a week and receive the treatment he needed to save his heart. She is our hero, and we feel that without her expertise, more time would have passed without treatment, causing a greater chance of him having serious permanent heart damage. We will never be able to thank her enough! After four years, it almost seems like everything we went through was just a bad dream, and it would be easy to forget about it and move on, but I don’t want to forget! I want to remember the feeling of knowing that life can change in an instant and how thankful we were that he was ok and coming back home with us- it was the greatest blessing. I can’t imagine those parents who are unable to. No parent should have to go through knowing their child is seriously ill, while doctors can’t figure out what it is, and then endure the panic that they may be too late. We are so thankful for the Kawasaki Disease Foundation, with doctors and nurses dedicating their professions to finding answers and spreading awareness. 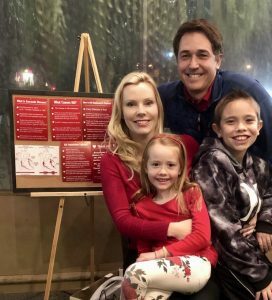 Each year, near Kawasaki Disease Awareness Day, we help spread awareness by holding a fundraising dinner, where our family and friends come together, and a restaurant gives 15-20% of the proceeds back to the Kawasaki Disease Foundation for research. I also have future plans of going to speak at Nursing programs to share our experience and spread awareness that KD may not always be textbook! We are so grateful that our son is healthy and know that it could have turned out much worse. I will forever pay it forward to help equip other parents with the symptoms of Kawasaki disease and save kids hearts!